Yesterday, October 15, 2015, was Conflict Resolution Day. Established by the Association for Conflict Resolution in 2005, the day is set aside to promote the advancement of conflict-sensitive strategies for resolving differences and build peace. Throughout the U.S., mediators, teachers, and activists, spent part of yesterday promoting conflict resolution approaches. I was happy to do my part. Yesterday, I divided my time between Lord Fairfax Community College (LFCC) in Middletown, VA and George Mason University (GMU) in Arlington, VA: doing the things I enjoy the most, working with community colleges and teaching. I was invited to LFCC by Brandy Boies from the student activities office, and Curtis Morgan, who teaches history at the college. This was my second visit to LFCC; when I was at USIP, I had had the chance to speak to students there. My student presentation was titled “It’s A Conflicted World Out There! Ways to Becoming a Peacebuilder and Conflict Resolver.” A had an audience of about 70 students, representing a range of ages and backgrounds. A few students were veterans, about a fourth of them Latino, and the ages were wide ranging! 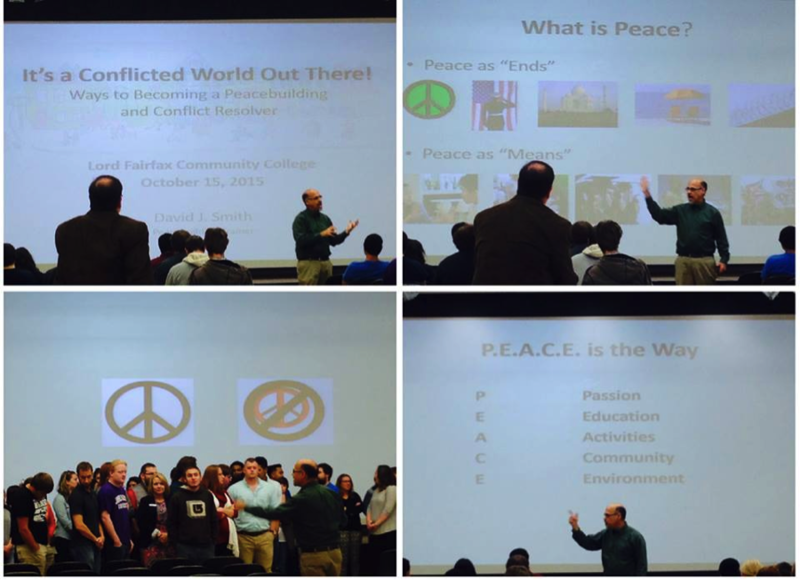 I spent time with students considering definitions of peace, looking at peace as “means” vs. “ends” and exploring conflict resolution based “soft skills” such as negotiation, dialogue, and working in teams as important for work and life success. At the end, I asked students to develop a “peacebuilder” action plan. 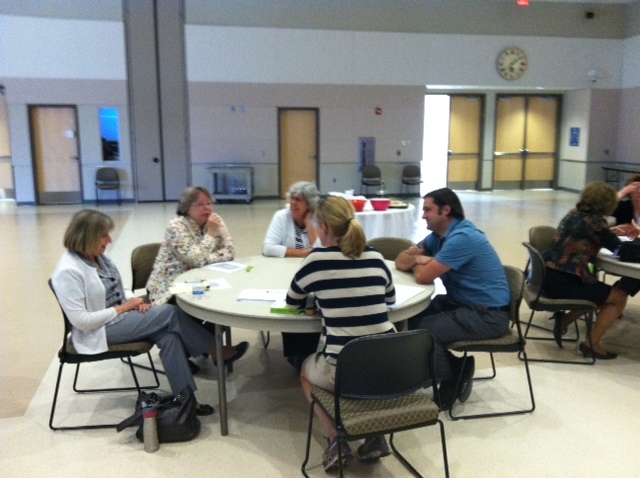 I then worked with a smaller group of faculty and staff. 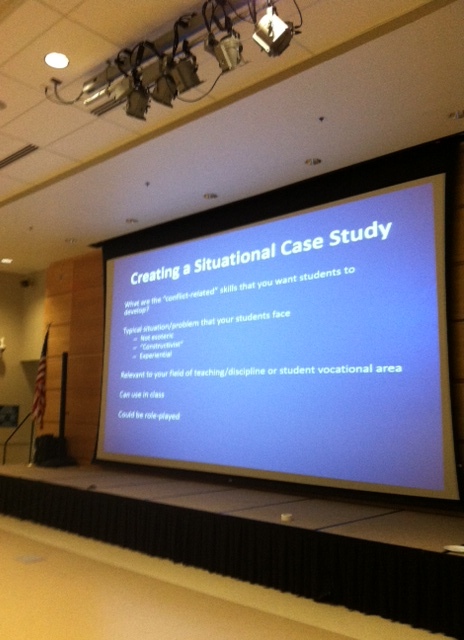 Here we explored ways to infuse into a range of courses conflict resolution scenarios and role-play activities. I asked them, working in teams, to develop a “Situational Case Study” that would explore a specific conflict resolution skill or aptitude. I have found that experiential learning – were students engage in activities – is the best way of teaching. Before meeting with students, I met with Edith Kennedy, the associate dean of instruction at the Fauquier campus, who is exploring developing a conflict resolution career certificate at LFCC. She sees the option as one to “couple” with other degrees such as business and communication studies, and something that can be articulated to 4-year institutions such as Eastern Mennonite University and George Mason University. As we continue to recognize the importance of soft skills, providing opportunities for students to apply these skills to another discipline is important for the future success of our students. I was impressed by the college’s vision. Right now there are 40 community colleges in the U.S. and Canada supporting peacebuilding work. The Northern Virginia Daily covered my visit. 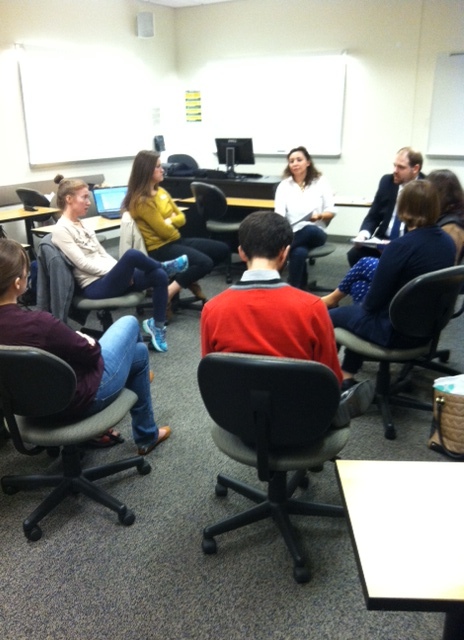 I also teach at the School for Conflict Analysis and Resolution at GMU on Thursdays. My class, “Reflective Practice”, is designed as a course to give masters and PhD students an opportunity to hone practice skills such as mediation, facilitation, and dialogue. Bringing reflection to these approaches is an important part of the course: where students are given the chance to consider their styles, roles and the impact of their work. For last night’s class, my 18 students where divided into two groups, each engaging in a role-play activity where prisoners and guards, working with mediators, focused on improving conditions. Through role-play activity, students are provided with insight into the stresses placed on individuals undergoing conflict and helplessness, and seeing the benefit that negotiation and dialogue can bring about to improving personal situations. Today, I am at the Peace and Justice Studies Association meeting at James Madison University in Harrisonburg, VA looking forward to connecting with colleagues. I will also be presenting on my book later today.